"I can't run from where I came from, nobody can," says Katy Perry. When it came time to make her exhilarating second album "Teenage Dream," Katy found herself increasingly drawn back home to Santa Barbara, Calif. Back to where they knew her before she became a superstar. Before she kissed a girl and liked it. And, certainly, before she sold 5 million copies of her Capitol Records blockbuster, "One of the Boys." "I love the vibe that Santa Barbara gives off and I wanted to really tap into the purity of my childhood and that feeling," says the two-time Grammy nominated singer. "It was really fun to get away and walk into the studio with no make-up on." 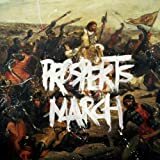 Amazon.com is now offering the latest Coldplay release "Prospekts March EP" for $0.99, TOTAL! Included are 8 tracks with a couple of remixes, new arrangements, new tunes, and a guest appearance by Jay-Z. Do yourself a favor.....buy this before it's gone! Let's hope more bands ditch the album format and start releasing content as it is finished. And to make it even sweeter, keep the prices low like this one. 8 songs for 99 cents!!! Whether it's a blunder or just a hidden deal....go get it now!!! BTW...it's full price on iTunes. After listening to Diggnation Episode #36 talking about Milla Jovovich. It reminded me of when I was younger she was a singer who just went by Milla her album was called "Gentlemen Who Fell". 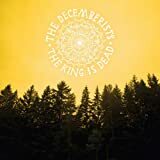 Great music if you get a chance to hear it. Decent voice.